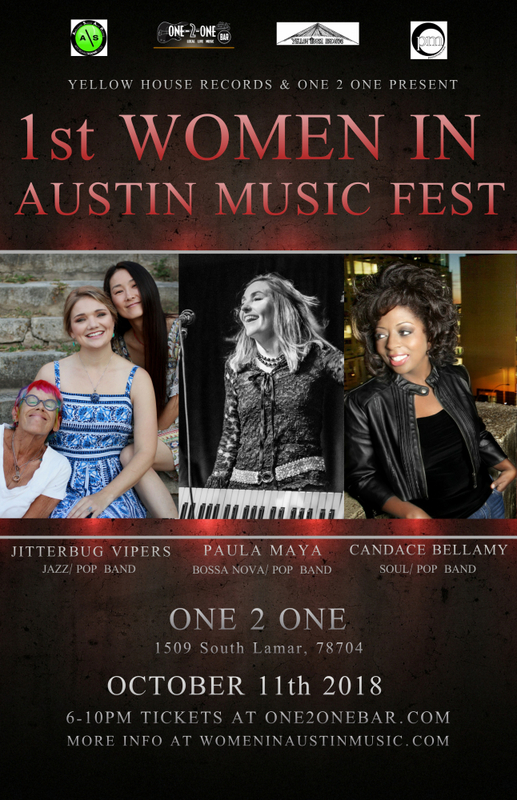 The 1st Women in Austin Music Fest! Enjoy an inspiring, eclectic, inclusive and fun night of music while empowering women in the music business and great live music in Austin. Three well known bands from Austin featuring five accomplished women musicians, songwriters and singers and their male supporters. All together fifteen world class musicians on stage, connecting different communities by bringing together Jazz, R&B, Pop and Brazilian music! Come shake your booty, come for a cold drink, come to relax an enjoy the grooves and your community! All proceeds will go to Austin musicians! Presented by Yellow House Records and One 2 One Bar.